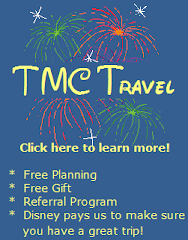 You have planned, saved, and waited patiently for your Disney World vacation. You finally make it to the parks and are having a great time. 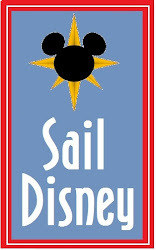 Eventually, the lure of the assorted merchandise locations will get the best of you and you will find yourself, mouth agape turning in circles in the Main Street Emporium, the World of Disney, or some other shop stocked full of every souvenir imaginable. If you are like me, you become quickly overwhelmed with the sheer quantity of merchandise and dismayed by the hefty price tags. Fortunately, for me, I tend to really enjoy the merchandise at the low end of the scale. I am not one to wear a Disney themed shirt every day, nor to I decorate with Disney merchandise in my home, so that eliminates huge categories of items to peruse. There are a few "standards" that always seem to make their way into my shopping basket....a photo album, a small photo frame, a magnet, a photo frame that is a magnet... I also grab a few fun postcards - not to send, but to tack up on the bulletin board in my office. Cheap and cheerful. A little something for my own little princesses and I can escape relatively unscathed. The "stamp" and the pre-toasted bread.